Are your drains running slowly – or not running at all? Whether you have a clog in your main line, toilet, or sink, Tech Sewer Service is your 24-hour plumber in Springfield Gardens NY with 1-HOUR SERVICE* for all your drain cleaning and emergency rooter needs! As a homeowner or business owner, there is a good chance that you will need a professional for sewer cleaning in Springfield Gardens NY. 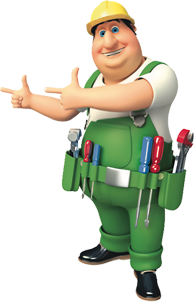 By enlisting the services of the premier plumber in Springfield Gardens, you can feel confident knowing that you will receive the finest plumbing repair services in this area. Our plumbers are licensed, certified, and insured for your peace of mind, and our Springfield Gardens plumber is up-to-date on the latest in plumbing advances and technology, so we can pass this on to our customers. The professional plumbing contractors at Tech Sewer Service can handle all your plumbing needs. Water Jetting Service Springfield Gardens NY: A Sewer Jet is the perfect tool for cleaning and cutting out roots, grease, dirt, sludge, and debris from sewers ranging from 4″ through 72″ in diameter. The jet nozzle propels the jet hose up the sewer using high pressure water, while flushing everything back to the point of entry. Jetting- For those constant problems with larger main sewer lines, we offer high-powered sewer jetting to get through those tough clogs. Jetting is a new technology offered by Tech Sewer Service in Springfield Gardens NY to free up those main sewer lines and get everything flowing smoothly again in a timely manner. Drain Cleaning Service Springfield Gardens NY: Lets be honest, nobody likes drain trouble and to make things worse drains usually clog during holidays or that special party. That is why Tech Sewer Service has same day and emergency service in Springfield Gardens NY. From small electric sink machines, to a large gas powered hydro jetter we have the right equipment to quickly unclog any drain or sewer line in your house. Sewer Cleaning Springfield Gardens NY : Broken sewer pipes are so much more than another bill to pay for homeowners. 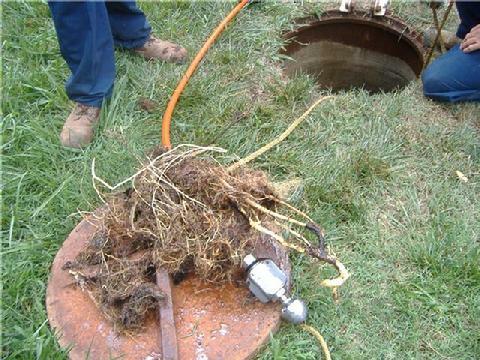 If not taken care of properly your sewer line issues can escalate into the serious damages to your property. We are specialize in sewer cleaning in Springfield Gardens NY. In addition to guaranteeing same-day service for emergency sewer cleaning and rooter service, we would also be glad to provide you with free estimates on stoppages and to schedule an appointment to clear your drains at your convenience. Water Heater Repair & Replacement Springfield Gardens NY : Have you just had enough of the water heater suddenly running out of hot water while you’re taking a shower? If that’s the case, then you should check when was the last time you had your water heater checked or repaired. Perhaps your water heater is in a desperate need of professional repair that will make sure you and your loved ones always have the hot water when needed. The moment you notice something is wrong with your water heater, you shouldn’t hesitate. Get in touch with the licensed and insured water heater repair technicians in Springfield Gardens NY. Camera Inspection Springfield Gardens NY : When you call us out for a rooter drain cleaning service, you benefit from our sewer-camera inspection and video-tape service in Springfield Gardens NY. Using a sophisticated fiber-optic camera, we check to see whether your pipes have been crushed, broken, punctured, or damaged in any way. The video images identify why the stoppage occurred, and what needs to be done to ensure that it doesn’t happen again. We are here for you 24/7! If you need plumbing repair or sewer cleaning in Springfield Gardens NY, call us today at (347) 703-7558 or contact us online. Springfield Gardens is a working-class neighborhood in the southeastern area of the New York City borough of Queens, bounded to the north by St. Albans, to the east by Laurelton and Rosedale, to the south by John F. Kennedy International Airport, and to the west by Farmers Boulevard. The neighborhood is served by Queens Community Board 12. The area, particularly east of Springfield Boulevard, is sometimes also referred to as Brookville. It also is home to a majority African-American population. Many homes have been torn down and remade for more families as more people move into the neighborhood. Part is in a Registered historic District. Springfield Gardens is located within zip codes 11434 (western part) and 11413 (eastern part).